Getting its name from a freshwater spring that once flowed where City Hall now stands, Clearwater is a coastal Florida city east of Tampa bordered by Tampa Bay to the east and the Gulf of Mexico to the west. As the smallest of the three cities located in the Tampa Bay Area, Clearwater has all the amenities and entertainment options of a bustling city with more of a relaxed atmosphere. Clearwater apartment searchers and tourists alike love the city because of its year-round summer weather and beautiful beaches. Clearwater is a beachside city teeming with life, and you’ll never run out of things to do. The city loves baseball, particularly because it’s the spring training site for the Philadelphia Phillies as well as the home to its minor league team, the Clearwater Threshers. The city’s beaches are some of the best in the country, so it’s no doubt they attract many people year-round. Clearwater Beach is a must as well as the nearby Beach Walk. In addition, Sand Key Park offers beach access as well as a dog park. Clearwater is a very pet-friendly city, with a variety of pet stores and dog-friendly establishments throughout the region. You’ll find apartments for rent everywhere in Clearwater, and your apartment search will take you to many different areas. A recent revitalization of the downtown area has seen the construction of luxury apartment complexes set above streets filled with boutique shops and delicious eateries. Named the Cleveland Street District, this strip of land sits atop a bluff and offers great views of the gulf while you’re enjoying a drink with your friends. Most cheaper studio apartments sit along Route 60, which stretches east to west across the city. Many of the apartments feature an all bills paid amenity, meaning your utilities are included in the price. The Tampa Bay Area is a densely populated region, but the commute times remain at the national average – 24 minutes for Clearwater. The city’s proximity to Tampa and St. Petersburg opens up the opportunity to find even more things to do. The commute to Tampa ranges from 45 minutes to an hour-and-a-half depending on the time of day, and St. Petersburg is slightly less time, depending on where you rent an apartment in Clearwater. The area is also home to some of Florida’s major colleges, including the University of South Florida in Tampa. Clearwater is home to several colleges itself, including Florida Career College Clearwater and Everest University, to name a few. Clearwater offers a variety of cheap apartments suitable for university students, whether you’re studying nearby or commuting to Tampa or St. Petersburg. Need an apartment finder? Discover the best ratings and reviews of Clearwater apartments using our apartment guide! And, if you need some extra help nailing down the right apartment, take a look at our Renter’s Resources to learn more about what your ideal rent should be, types of questions you should ask while touring, and how to find the best areas to live in your city. 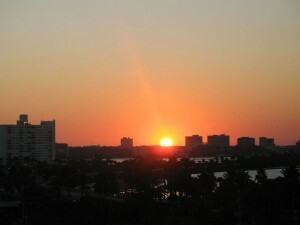 RentLingo is your trusted apartment finder in Clearwater. We hire local experts, such as former property managers and locators to anonymously tour and consistently rate and review every available place. They share their honest and unbiased perspective with you, so you know how every rental ranks in the area. Because our experts tour every property, we can offer consistent apartment ratings across every region. So unlike finding a Backpage or Craigslist rental, you can trust these apartments are verified and trustworthy: whether it's a cheap studio or a one bedroom with all utilities paid all the way up to a nice house for rent or a luxury condo.